The U.S. Department of Health & Human Services reports that since the Affordable Care Act passed an estimated 20 million people gained health insurance, including young adults who can stay on their parents’ plan until the age of 26. According to Enroll America, an independent, nonpartisan organization, Florida has one of the highest uninsured rates in the country. In 2013, the uninsured rate in the Sunshine State was 21.5 percent for 18-64 year olds; in 2016, it is 13.2 percent. 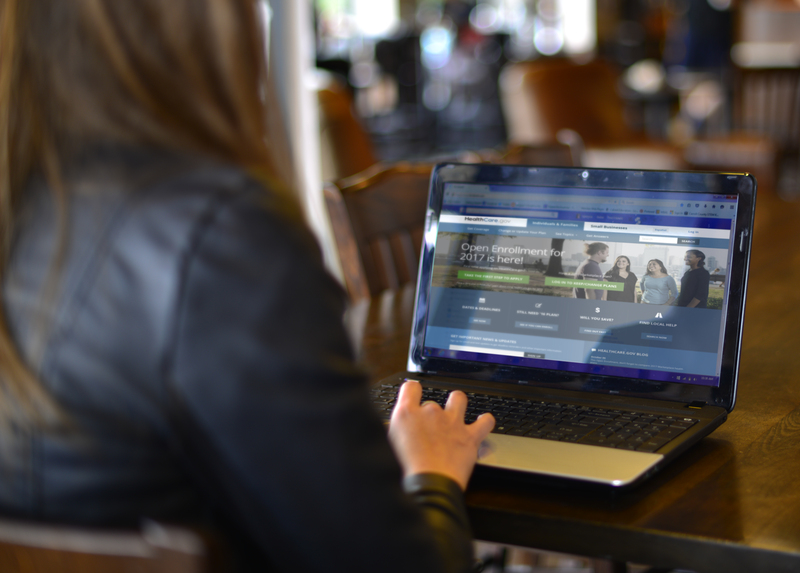 FIU News spoke with Enroll America and the Health Council of South Florida to ask the top 5 questions college students still have about the health care law – from how to get health insurance to who is eligible for tax credits to how much plans cost. Where can I get help understanding the health plans and sign up? “Thankfully, FIU has allowed us to have federally trained navigators to give free, unbiased assistance on campus,” Tan said. “1.7 million people signed up or reenrolled in 2016,” said Barber-Heinz. “It’s important that young people understand that this opportunity is still available.” For anyone needing help, you can schedule an appointment with the on-campus navigator by calling the Health Council hotline at 786-708-0836. A recent change that students should also be aware of is that health insurance agents and brokers can now charge a fee to help you review plans or sign up. These are the same services FIU is offering for free during its enrollment events and through the on-campus navigator. Considering the results of the election, do I still need to sign up for coverage? “Yes,” said Tan. “The law is still the law until it’s changed. For 2017, financial assistance is still available and if you go without insurance, the penalty is still applicable.” Students need to keep in mind that the tax penalty is $695 per adult or 2.5 percent of household income, whichever is greater. How do I keep the doctor that I want? “There are new plans and pricing every year, but there are tools that can help you find the plan that will keep the doctor or hospital that you want covered,” Tan said. To see a full list of the plans, go to Healthcare.gov and click on “See Plans.” Follow the prompts to see the different plans and who is covered. Alternatively, navigators and assisters at the enrollment events can also help you find the plans that will cover your current doctor or hospital. What is the deadline to enroll? “If you want coverage to start on Jan. 1, the deadline to enroll is Dec. 15,” Tan said. “If you already have a plan on the marketplace, you should shop around to compare plans, otherwise you will automatically be reenrolled with the plan you had last year.” Additionally, if you had a plan from an insurance company that left the marketplace this year, you definitely should shop around because you will automatically be enrolled into a comparable plan on Dec. 15. For more information about the Affordable Care Act, visit healthcare.gov or attend a free enrollment event. FIU students are also eligible to purchase insurance through the university sponsored plan, Gallagher Student Health. Click here to view upcoming enrollment events or to find a local enrollment event in your community.